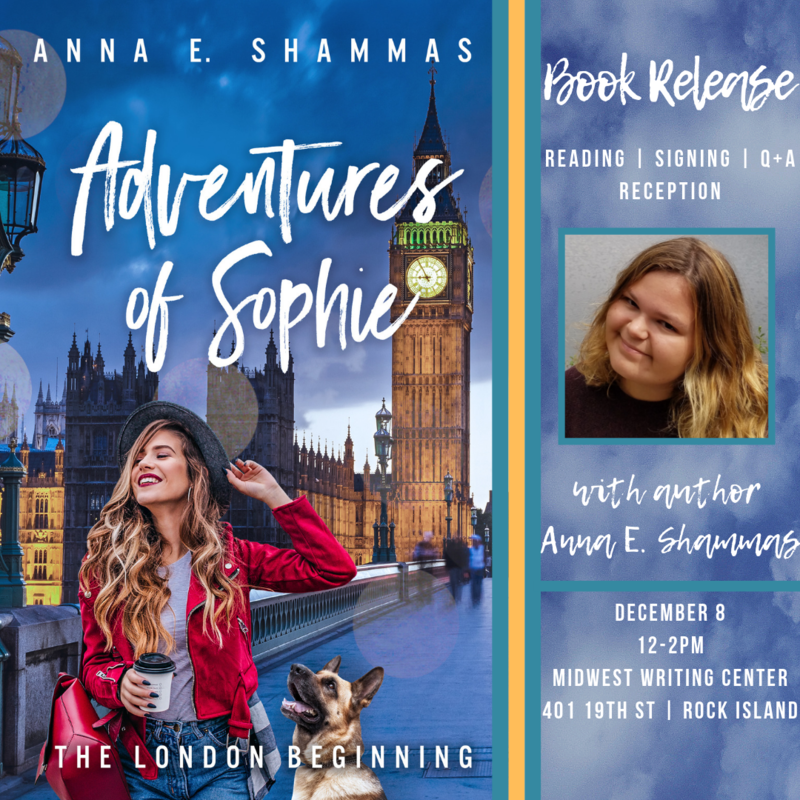 Local author Ann E. Shammas will release her newest book, Adventures of Sophie: The London Beginning, at an event hosted by the Midwest Writing Center on December 8 from 12p-2p. Shammas has written several children’s books in the past, and Adventures of Sophie marks her first young adult fiction title. Copies of the book will be available for purchase, and the event will feature a reading, a brief Q and A, and book signing. Copies will be available for purchase. Throughout his career, Quad-Cities writer Michael McCarty’s No. 1 fan was his mother, Beverly McCarty. She regularly attended his area book signings and supported her son’s work in the community, talking about his books with family and friends. On Oct. 16, 2017, Beverly McCarty passed away. She was the mother of Michael McCarty, Steven McCarty, and Catherine (McCarty) Leonard. In Beverly’s honor, the McCarty estate will bequeath her book collection to the Midwest Writing Center. Midwest Writing Center is a 501(c)(3) non-profit corporation, located inside the Rock Island Public Library, 401 19th St., Rock Island, IL. The dedication event will be held at the Midwest Writing Center at 3 p.m., Dec. 8, 2018. Beverly’s collection features more than 50 books, including many co-written by Michael’s frequent collaborator, Quad-Cities writer Mark McLaughlin. Michael will share many of his favorite memories about his mother at the event. After the dedication, Michael will hold a special signing of his books at the Midwest Writing Center, donating a portion of the proceeds to the Center. Copies of some of his older, rare books will be on sale, including CONVERSATIONS WITH KRESKIN, signed by The Amazing Kreskin, and the hardcover novel MONSTER BEHIND THE WHEEL (co-written with Mark McLaughlin) that has been out-of-print for almost a decade. Michael McCarty is the author of more than 35 books of fiction and nonfiction, as well as hundreds of articles, short stories and poems. For more information on Michael and his books, visit his website at https://monstermikeyaauthor.wordpress.com.